2018 Camp Recap & Photos! 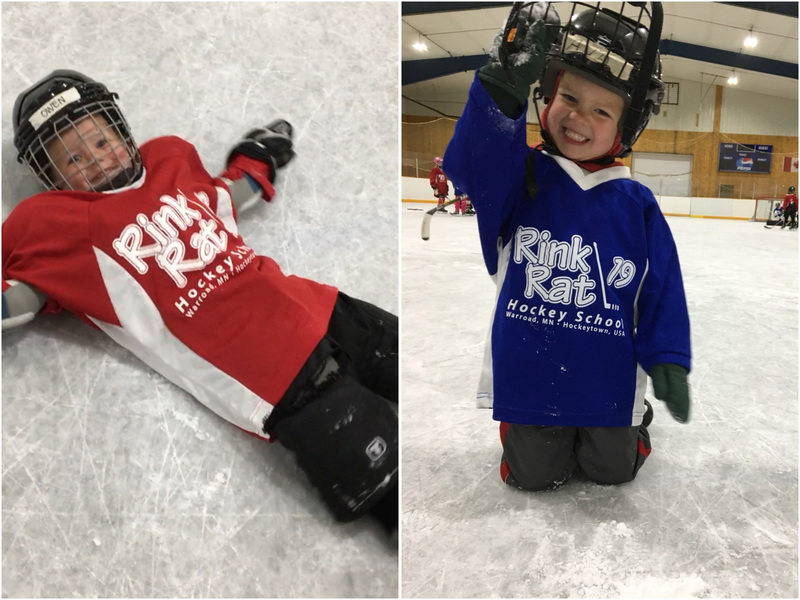 The 11th summer of RinkRat 19 Hockey School was GOLDEN! I was able to share my Olympic Gold medal withall of the campers and families. 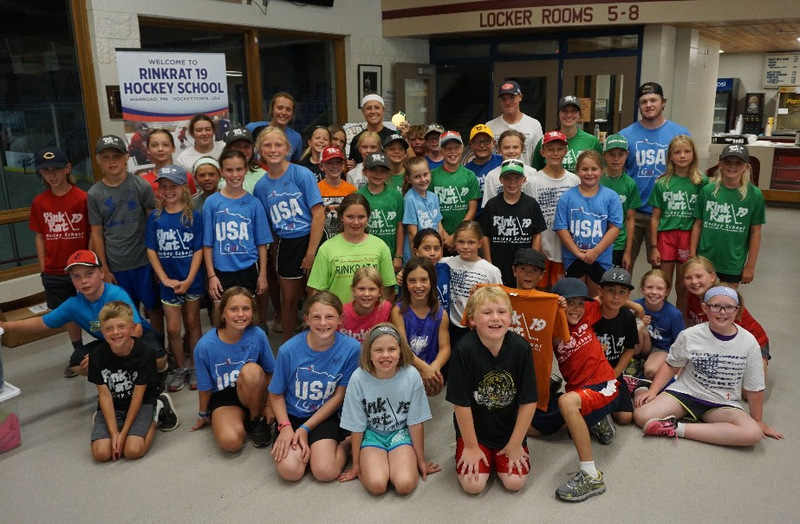 The 2018 Olympic Gold medal game was an unforgettable one for Team USA, so it’s a joy to be able to celebrate with all who attended camp. Over the two weeks of RR19HS, there were 183 kids from across 9 US states (IA, MN, MT, ND, PA, SD, WA, WI, and WY), 2 Canadian provinces (MB, ON), and 1 non-North American country (UAE). Yes, you read that correctly…there was one camper from Dubai, United Arab Emirates. DUBAI. 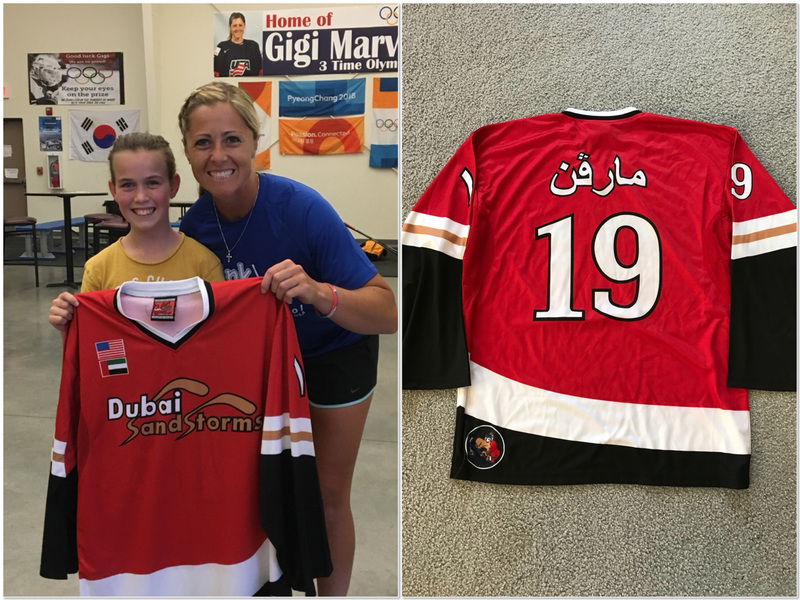 Not only was she an amazing kid and great skater, but she made me a personalized Team Dubai jersey with 19 on the back and Marvin written in Arabic (photo below)!!! It’s incredible to see how a small town in Northern Minnesota is attracting kids from across North America and now expanding into other parts of the world. I’m extremely grateful for those who travelled from near and far to spend their time with us at RR19HS!!! The entire staff needs a massive round of applause! For the first time in 11 years I had to miss a day of camp due to my obligations with Team USA, but the RR19HS staff did a phenomenal job while I was gone. My teammates and I were invited to the ESPY Awards Show in Los Angeles and it was a huge honor to attend this event. We won the 2018 Humanitarian Award and then the ESPY for Best Game! It was such a cool experience and moment for our team. 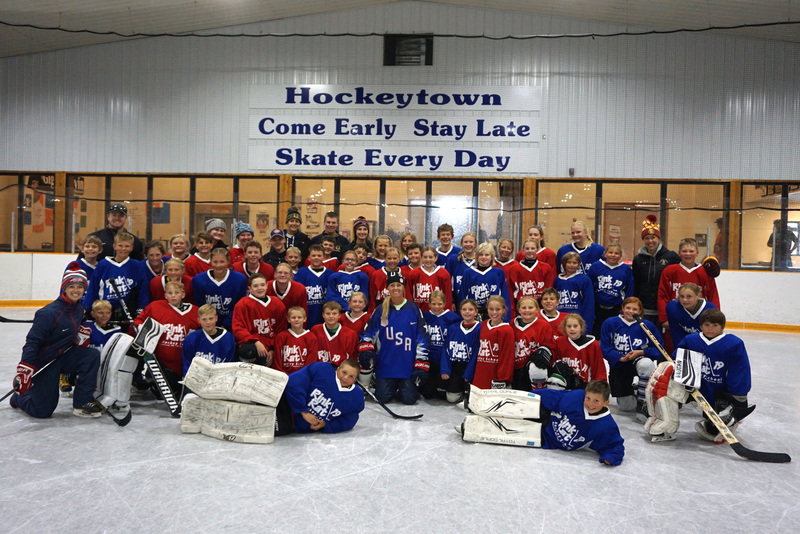 So after four plane rides, four hours driving, and one hour of sleep, I arrived back in Hockeytown, USA, to finish the last day of hockey camp and celebrate with the campers! It seems like the youngest skaters are always involved in the most memorable moments at RR19HS and this year was no exception. One highlight was when I was describing a drill to the Little Camper group and suddenly I looked behind me and saw Owen (4) on his back making a snow angel and Ava (3) on her knees scooping snow into a snowball so she could eat it! 🙂 What a priceless moment it was and also a reminder to us all that the most important thing is to have fun on the ice! Thanks again to everyone involved in making this camp a huge success. Enjoy the rest of your summer and I look forward to skating with you at next year’s camp! 2019 dates will be announced soon so look out for that email!